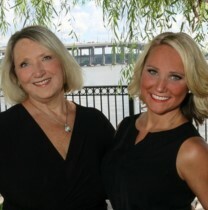 We are a Mother-Daughter team with over thirty years experience. We are consistently in the top 100 of the Daytona Beach Area of Realtors and have an expertise in our local market. When you are buying or selling property in today's real estate market, it's important to have confidence in your real estate professional. Our commitment as your local REALTOR® is to provide you with the specialized real estate service you deserve. "Two Generations of making you feel at home"